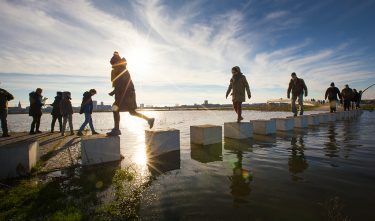 NEXT architects clearly took enormous pleasure in creating a bridge that visualises both the impact of – and solutions to – rising water levels. 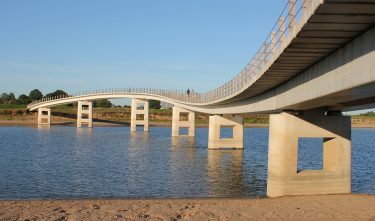 The design for the Zaligebrug symbolises the new awareness we need to shape strategies for (river) water management. 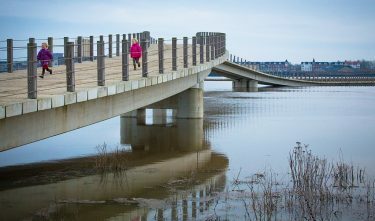 The bridge has a hybrid form: it is above nature, yet also part of it. The design harmoniously blends water safety, experiencing the landscape and leisure, and shows the way for the future of design in this area.